Patrick Charnley of the solicitors Eversheds has sent me a letter on behalf of their client Train2Game. This is eactly how legal reputation management works. They are trying to bully me into censoring an article that their client does not like, even though that article self evidently only contains the truth. They have succeeded in getting YouTube to remove the three videos that showed a Train2Game salesman at work. You would wonder why Train2Game wanted these removed. In fact their actions speak volumes. Bruceongames now comes top of quite a lot of Google searches, this makes me a target for people who only want their version of the world reported on the internet. I took the article down for a little over a week whilst I spoke to various legal and journalistic experts including no win no fee solicitors. One told me that the charges against me are ridiculous. Obviously the article is now back up. Read this letter, it is amazing stuff, they are even trying to prevent me from talking about the Blitz Academy website. How blatant an attempted suppression of free speech can you get? Wow- i wonder how much work went into writing that letter, and how much it cost? Just to ask you to stop linking to YouTube videos- which YouTube have already pulled! Doesn’t something have to be untrue to be “defamation”? I strongly agree that it’s a worrying trend for the future of free speech. Bruce, we recommend you blur out your personal details on the letter images. I watched those YouTubes and while no visual element existed, the sound did nicely record the Train2Game sales representative. I watched it with a professional colleague and we were rather astonished of the way in which this British company representative was acting. Because YouTube have removed these links it may prove helpful to cite some of the comments made in this recording. In general terms journalists enjoy the written word more than a video because it tends to be more accessible than spending the time to watch a video of unknown content. In this respect I believe the comments will reach a larger audience than the videos themselves. The journalists that I recommended watching this video did not do so because it was rather lengthy. I am sure they may appreciate reading a summary of this now YouTube have decided to remove it. It is this removal that may now cause some interest. Once again a clear indication as to why companies need to appreciate the Streisand affect http://en.wikipedia.org/wiki/Streisand_effect. 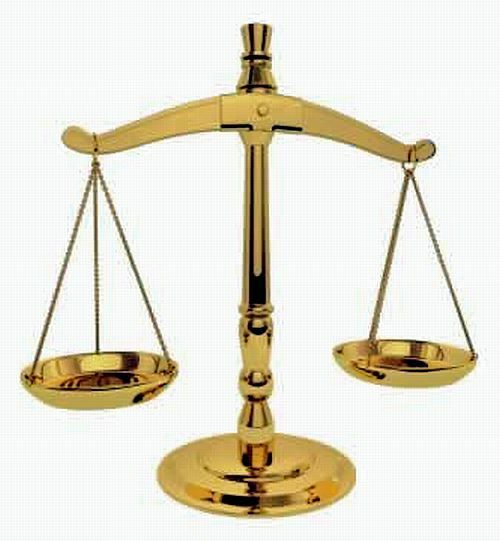 Law firms in contrast are private business entities and are always willing to accept business on good faith. One of the ways successful people and organisations decide to select their legal representatives is based on the organisations law firms decide to represent. Many barristers within the UK will explain to their clients that perjury is endemic; in this respect formal evidence is becoming more and more important, for obvious reasons. Law firms that proceed down the course of requesting the removal of evidence are therefore starting to be seen in an unfavourable light. Contrary to many peoples perceptions there is no mystique to law. Today it is practiced through attempting to control and manipulate evidence. Indeed many attorneys lack professional courtesy and are prone to adopting the hyperbole of their clients. Do note the use of the word “unexpected.” This word is the corporate attorneys best friend. It is likely that Eversheds LLP would have been aware of the possibility of the advice that would have been offered to Mr Everiss from his legal representatives in response to their commission. Perhaps this Wiki article will help readers to understand the motives behind corporate law firms http://en.wikipedia.org/wiki/List_of_100_largest_law_firms_globally. Do note that Eversheds LLP is listed in position 35. Unfortunately may people are far too inexperienced about law. The more members of the public begin to understand how law works the less intimidated they will be towards those that seek to remove evidence that can best serve the public interest. Of course, it is permissible to offer recorded material as court evidence, even when this was not obtained with consent, providing it can be demonstrated that it could not have been achieved any other way. Given the concerns raised against Train2Game I fail to see how this evidence could have been achieved any other way. In this respect the argument offered by Eversheds LLP against the parties that have taken issue with Train2Game appear unconvincing and shallow. In this respect it may be in Mr Everiss’s interests to consult with the parties involved in making claims about Train2Game. 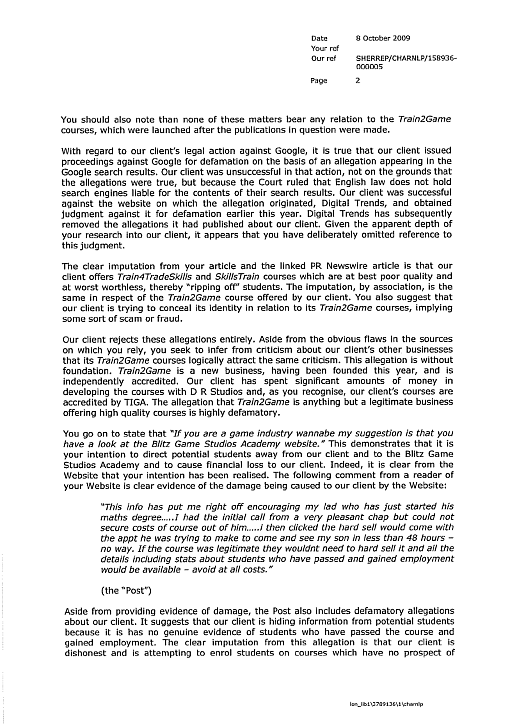 This way it will permit their legal departments to address any inaccuracies made by Train2Game’s legal representatives. Of course, Eversheds LLP will be taking the words of Train2Game on good faith, if this happen to be incorrect then of course this is likely to result in unexpected financial charges. It’s too bad your British. Their defamation/libel laws seriously favor Establishment Interests over any sort of public criticism. The famous McLibel trials (http://www.mcspotlight.org/case/) made the British look like corporate-kowtowing control-freaks to every free country in the world, and yet it looks like no progress has been made toward advancing the spirit of free speech, much less protecting social or political criticism. How pathetic for a country that once took pride in being the vanguard of civilization. By the way some Britain’s former colonies and fellow travellers have the same problem – namely Singapore. Maybe the problem is in the notion of “reputation” itself. Why should what the world thinks of you be a commodity when people inevitably disagree? Blogging, as a medium of opinion, may itself be a problem for the British (and British-influenced) legal systems. Corporations have millions to spend on lawsuits: there should be an equally well-funded defense of civil liberties. Perhaps there should be class action lawsuits forcing corporations to pay for frivolous libel claims? Perhaps false claims of libel (aimed at suppressing an unpleasant truth) should result in automatic fines? In this case it also looks like Train2Game is trying to piggyback on your Evony troubles, assuming you will be feeling so harassed that you will cave in to any threat of further harassment. By the way, I expect to see bigger regulatory attention to gaming in the future. There are just too many deceptive get-rich-quick schemes associated with online gaming now, and the target demographic (the “chumps”) are children whose impulsiveness and lack of experience can easily be exploited. Such regulation will probably be onerous, inhibiting new competitiors and struggling innovators. However, scared parents, schools, social justice organizations, and random celebrity ministers will probably be a lot louder. There probably won’t be much left of online mmos after that. I wish the gaming industry itself would get a clue before that happens and set up their own ethical oversight organization. Yeah, fortunately in the US we have alot more protections (especialy in some states)…. although our system is still far from perfect and you do still see some outrages…. but the laws in many of the Commonwealth countries seem down-right terrifying by comparison. Defamation is alot harder to prove (as I understand it)…and the onus in on the person claiming libel. There has been a recent trend in laws passed to prevent this sort of legal intimidation as well. NY recently passed a law that helps hamstring libel tourism…. and there is one making it’s way through the Federal legislature too. Then you have things like California’s SLAPP laws. As far as recordings go…. many states (like mine) are single-party consent states. Meaning that only one of the parties privy to the conversation needs to give thier consent in order for it to be recorded. That’s really a huge protection for innocent individuals….as otherwise it devolves down to nothing more then one parties word against anothers. Thanks for the heads up on train 2 game! i’ve got one of their salesmen coming round 2moro so i’m gonna ask lots of really awkward questions before telling him where to shove his course! I doubt you will post my comment as most bloggers prefer to remain subjective as apposed to objective and only publish comments that support their theories. I am a student with Train2Game.com and I am fully aware that the emphasis is on having a quality portfolio over the actual diploma. I don’t know anything about the slander or watchdog reports but I am more than happy with the “sales man” who came to visit me and I have worked as a sales person for 15 years so I know a hard sell when I see one. I didn’t get a hard sell. I see no harm in promoting and marketing their services. I am very happy with the quality of my art course and for the price I get a full student version of 3Dmax and Photoshop CS5 which in themselves cost over 3K so how can I grumble about the price? I notice only777 who “wont be gagged by a dirty company” has had his account deleted from the URL video link her provided. 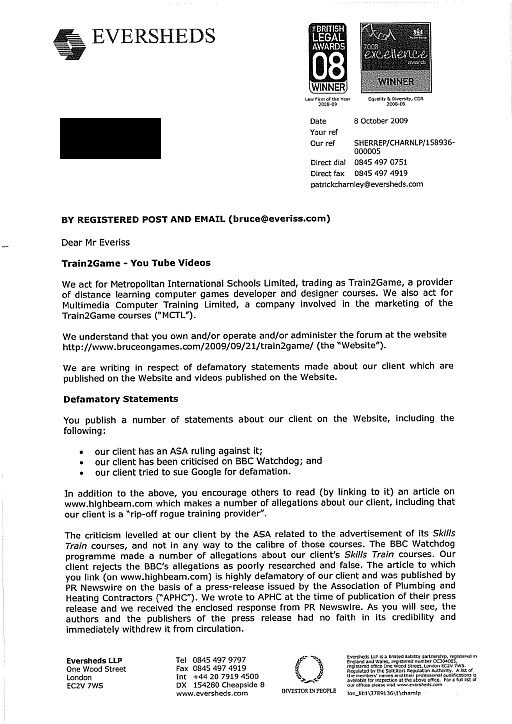 ANY company has the right to have negative informal opinions published on the www removed. If it was YOUR company, you would react in the exact same way.